In today’s marketplace companies are using simulation technology more and more in their product development process to make product development faster and to produce better quality products. 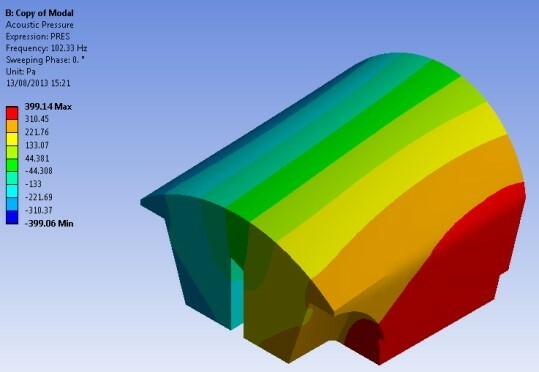 Often the assessment of the acoustic qualities of a product is conducted towards the end of the design cycle in a build and test scenario which is both costly and time consuming. 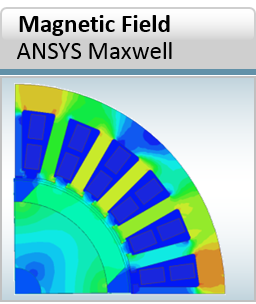 If you want to produce quieter products, faster, then simulating acoustics with computer aided engineering (CAE) tools can help you get there. Understanding the acoustic properties of the design is key to producing the best possible outcome and with today’s CAE tools this is not just possible but is easier and faster than ever before. 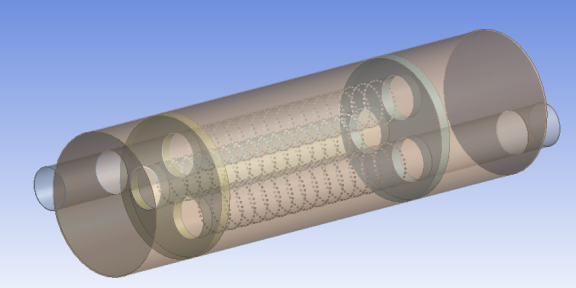 A virtual analysis of a muffler for a car exhaust system can be analysed for its acoustic performance without the need for prototypes, changes can be made to the virtual model to help enhance the acoustic performance before a prototype is even built, saving time in the product development cycle. The correlation between theory, experiment and “Virtual” models is clearly evident. Submarines are large structures that need to be unseen by underwater sonar to escape detection. 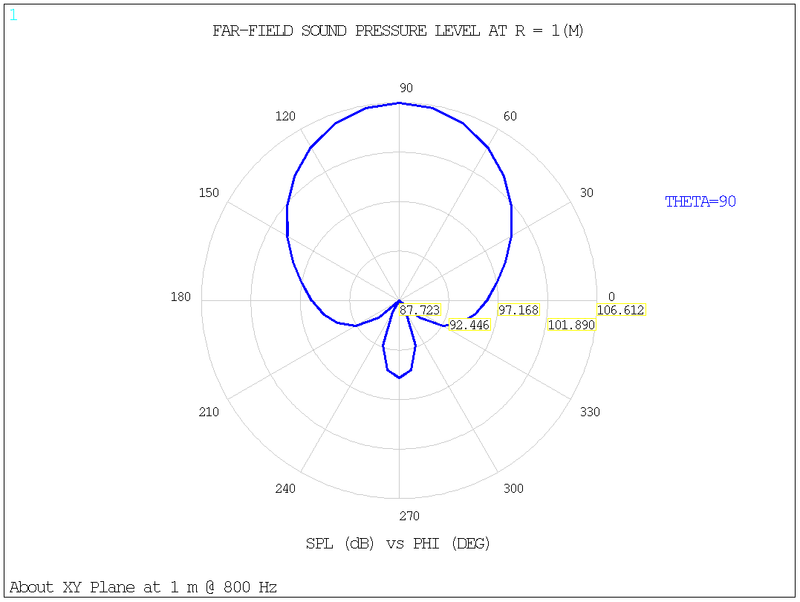 The scattering of acoustic waves is a measure of how effective they are at achieving this. 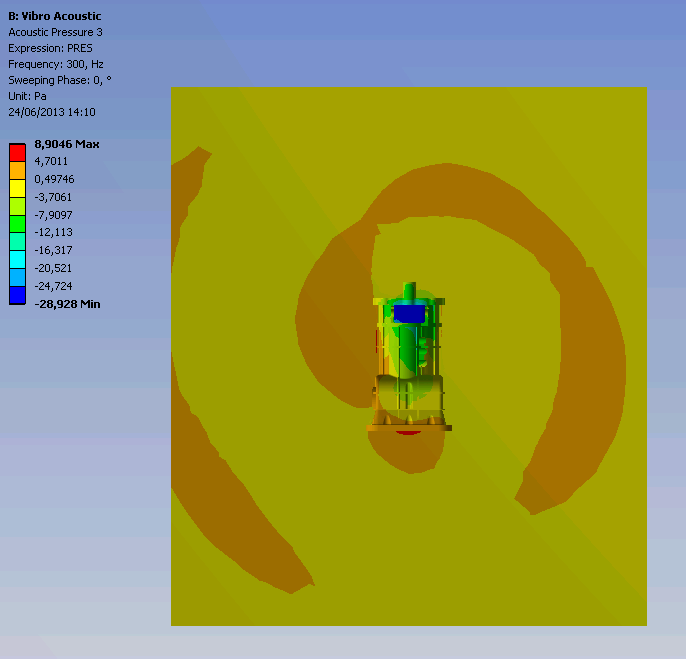 Using CAE tools to conduct virtual trials is an alternative to expensive scale model testing which involves prototype builds. This can save time in evaluating shape changes or modifications to submarines. Submarine subjected to a standing wave to see the scattering. Buffeting can be a problem inside a car interior as the frequency or sound level of the buffeting can be annoying at certain frequencies. 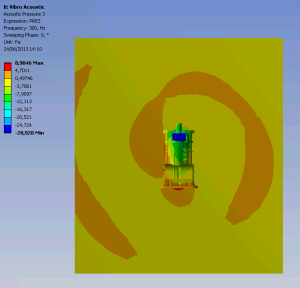 By using CAE tools to predict standing wave frequencies early in the design phase, changes can be made to the cabin to reduce the buffeting to more acceptable levels to increase passenger comfort and reduce noise. Placement of speakers in a concert hall can have a large effect on the sound heard by the audience and sound cancellation is an undesirable effect that can occur if speakers are not placed correctly. 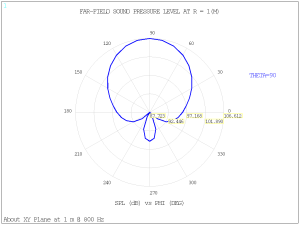 CAE tools can be quickly used to assess the configuration of speakers allowing a virtual representation of sound and allowing sound dead spots to be identified. 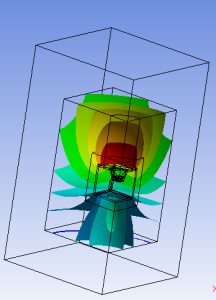 CAE helps achieve optimum placement faster than would be possible with physical testing. Audio speakers don’t need to be quiet, they need to radiate sound well and the design of the enclosure affects the performance and the placement within a room affect the sound quality. 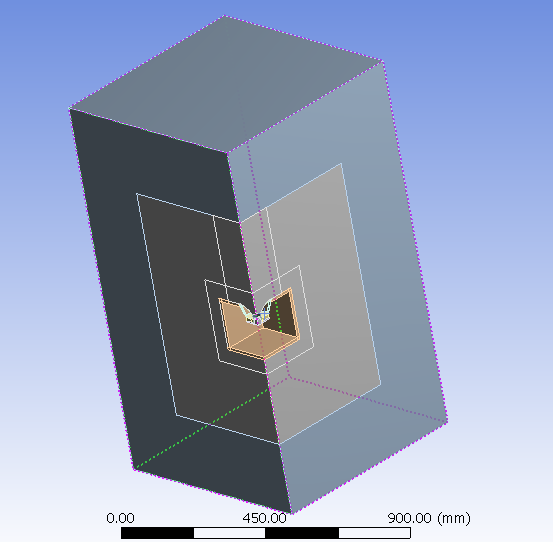 CAE tools can be used to help design the speaker and its enclosure without having to build prototypes. Acoustic Fluid Structure Interaction, or vibro acoustics, allows simulation of noise from vibrating structures. All vibrating structures will emit noise, how much noise they emit can be reduced with the aid of CAE using vibro acoustics. Small changes in structure stiffness can change the frequencies or reduce the sound level coming from the vibration and exploring these changes with virtual models is much faster and more efficient than building prototypes. The example below shows a gear case and the sound it emits. More sound sources for acoustic incident waves have recently been added – plane wave, monopole and dipole sources to name just a few. Being able to account for temperature variations (which influences the sound speed) leads to more accurate results when dealing with sound propagation in air at high temperatures. 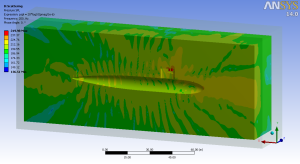 The ease of use of acoustics simulation has been improved with the introduction of the Acoustic ACT extension, which allows simulation of noise propagation within a muffler, scattering of acoustic waves off a submarine, noise from an audio speaker, the acoustic modes of a car interior. 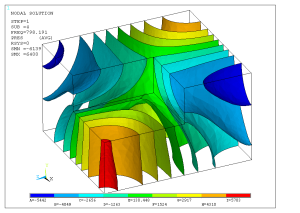 Simulation of far field noise reduces the need to simulate large acoustic domains, predicting the noise level outside the mesh zone with the use of perfectly matched layers to truncate the domain, without the “sphere shape restriction” from the past. 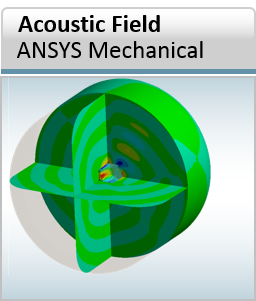 Acoustic Fluid Structure Interaction allows simulation of noise from vibrating structures, this can be coupled with piezo electrics or even a structural harmonic analysis where excitations are derived from a Maxwell simulation, allowing coupling of electromagnetic fields with structural response to acoustics, this is a seamless process with workbench and enhanced with the Acoustic ACT module. 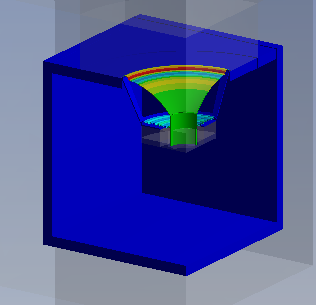 Maxwell passes forces to the structural dynamics simulation which are passed as velocities to the acoustic simulation. 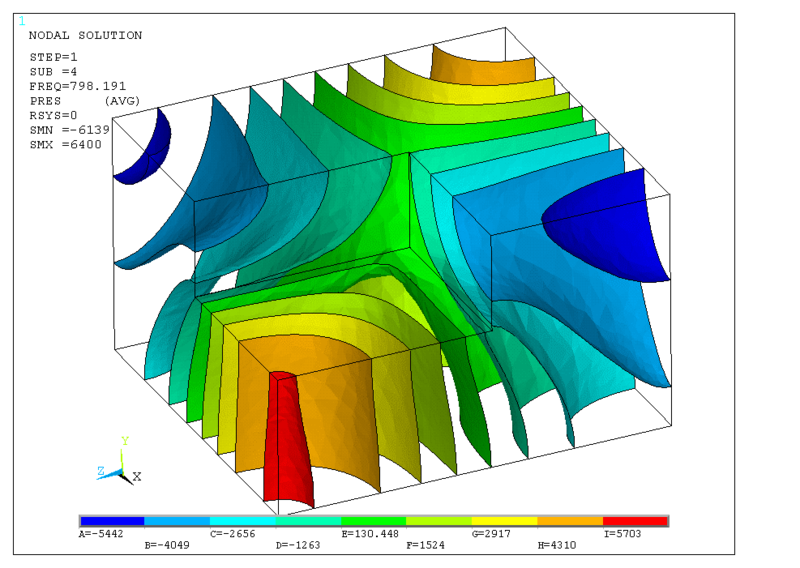 The results of a structural harmonic simulation can be passed to an acoustic harmonic analysis, where the surface velocities from the solid are passed to the acoustic domain as a 1 way coupling, enabling the noise prorogation to be predicted. The project schematic below shows how the harmonic response systems are linked. 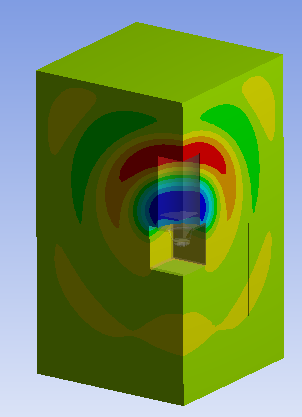 If you are looking to build quieter products and speed up your product development process then simulation tools can help you get there. 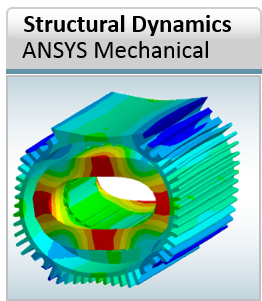 If you want to learn more about acoustic analysis using ANSYS simulation technology register for one of LEAP Australia’s upcoming free seminars by clicking below.